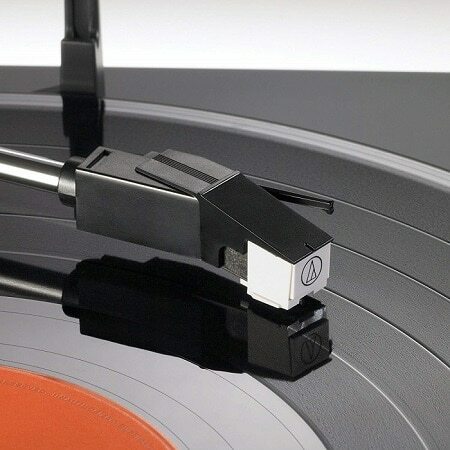 Fully automatic turntable operation gently places the stylus on records for you and automatically returns the tonearm when record ends; supports both 33-1/3 and 45 RPM records. 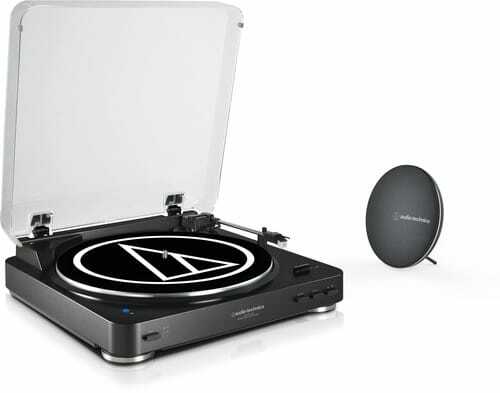 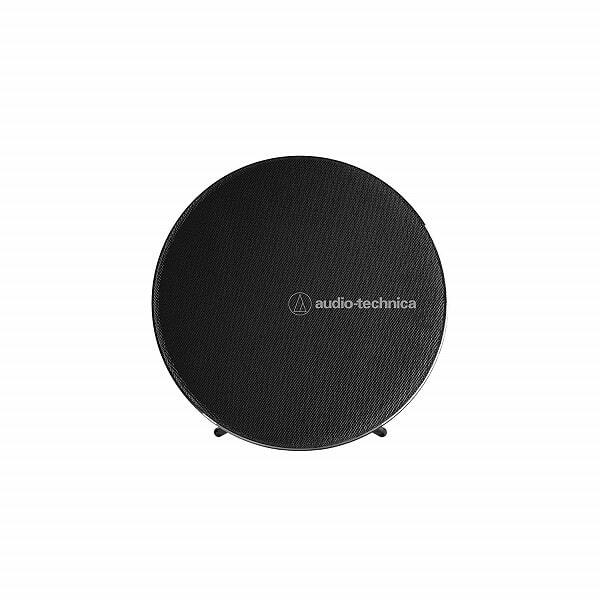 The AT-LP60’s belt-drive design isolates the platter from motor vibrations, resulting in increased clarity and high-fidelity audio. 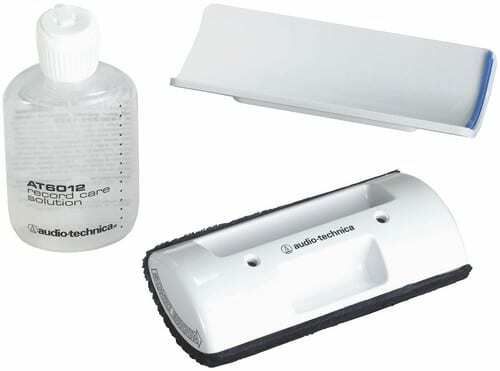 Integral Dual Magnet Audio-Technica phono cartridge with replaceable diamond stylus. 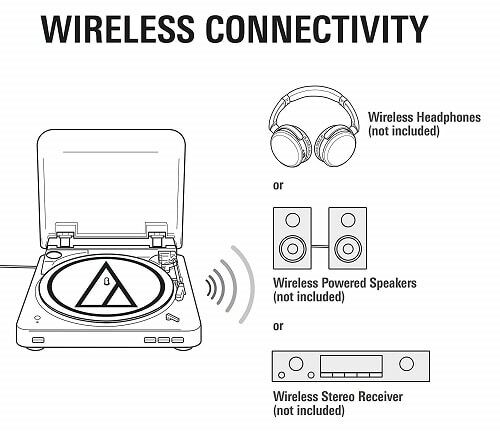 Built-in switchable phono pre-amplifier with RCA output cables to connect to audio systems and powered speakers (not included). 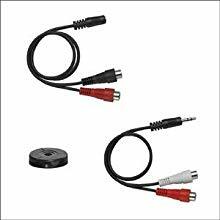 Includes: two output adapter cables (dual RCA female to mini-plug male & dual RCA female to mini-plug female), 45 RPM adapter.